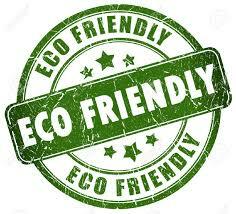 A2B Solutions eliminates bed bugs completely and, we do so the environmentally safe way. Chemical pesticides, such as methyl bromide and other toxic fumigants are potentially harmful to people, pets, and our environment. Chemical pesticides are losing their effectiveness as bed bugs are building up resistance to them. A2B Solutions’ bed bug heat treatment provides you with a better, safer, and more effective way to eliminate your bed bug problem. 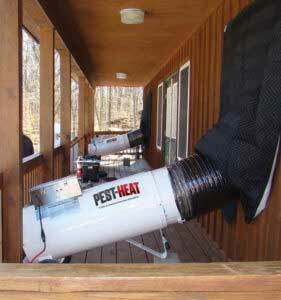 Instead of harmful chemicals our system uses heat to exterminate bed bugs. Since the early 1900's heat has been used as an effective strategy to kill all life stages of bed bugs from their eggs to adults. Heat treatments penetrate into areas where chemicals and fumigants cannot reach. It does a more thorough job of eliminating adults and eggs, which prevents future bed bug infestations. A bed bug can wait for up to one year without feeding, so it can retreat to an area safe from a chemical and wait it out until that chemical dissipates. There is nowhere for the bed bug to hide from the heat! 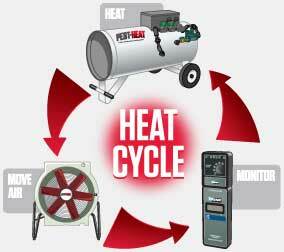 Our bed bug heat treatment delivers controlled, evenly distributed heat throughout your home, rental or business. We hold this heat for several hours with high volumes of air movement. 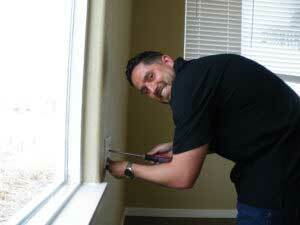 Our highly trained technicians meticulously record and monitor the entire process. 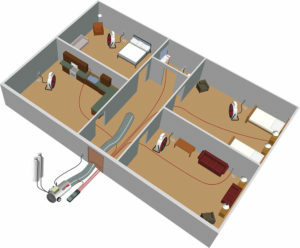 During a typical bed bug heat treatment, internal temperatures are slowly raised in the target space to temperatures of 140 degrees and then held for several hours. Achieving this temperature in every crack, crevices, or other hard to reach place is necessary for the heat to effectively penetrate and kill the entire life cycle of bed bugs, from eggs to adults. The temperatures are monitored and recorded from numerous temperature sensors that are placed strategically throughout the treated areas. These probes and sensors are used to track the heating process ensuring there is heat penetration at each and every possible place a bed bug may be taking refuge inside your home. 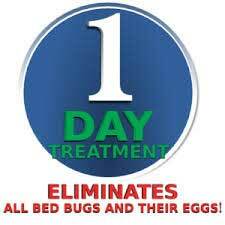 This safe, non-chemical, environmentally friendly approach is the most efficient treatment method for bed bug eradication and is backed by A2B Solutions guarantee of satisfied service.